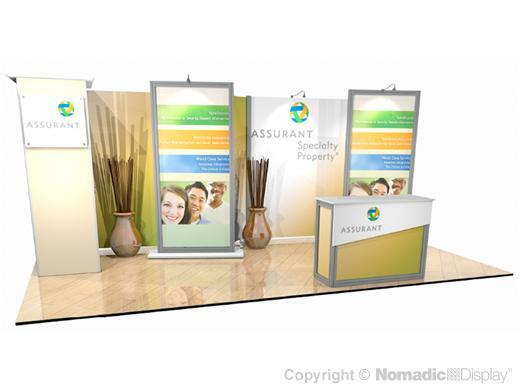 Take a Stand Apart presentations that is also Show Smart to your trade shows and events. Our highly evolved DesignLine hybrid displays seamlessly blend our most popular products into one breathtaking presentation that is scalable to work in more places and maximizes your budget. This popular 10x20 and breakdown to a 10x10 or upgrade to a 10x30.